Dressing up your bed can be quite overwhelming with all the various bedding ensembles available in the stores. Linens, such as the coverlet, bedspread, and comforter, are used to add both comfort and style to your bed. They may all seem the same but they actually look different and each serve a different function. This article will help you identify the differences between a coverlet, a bedspread and a comforter. A coverlet is a lightweight decorative bed cover, which is often woven or quilted. It often has a thin layer of batting and falls midway at the sides of the bed. A bedspread is a thin bed cover that serves both decorative and insulative functions. It is a type of linen designed to cover the entire bed, up to the pillows, and reaching down the floor on all sides of the bed. The word “bedspread” is sometimes used as a category-generic name encompassing all bed covers used as the top layer of the bed. A comforter is a thick type of bed cover made up of two fabrics sewn together and filled with layers of soft material for insulation. It is used to provide warmth, especially during the winter and also adds a touch of design to your bed. 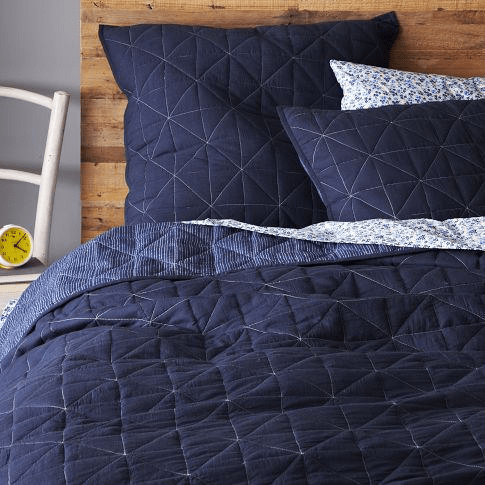 The main differences between a coverlet, a bedspread and a comforter mainly have to do with size, design and levels of insulation. There are some though who use the word “bedspread” as a category-generic term, referring to most bed covers used on top of the bed. However, if you take a close inspection of the various bed linens that are available, you can somehow differentiate one from the rest. The coverlet, bedspread and comforter are all used for decoration and insulation purposes. However, the coverlet and bedspread are thin and lightweight while the comforter is a thick type of bed covering. Coverlets are often woven, sometimes quilted. Bedspreads are usually made of wool, polyester, cotton, or chenille. Comforters are made of breathable fabric sewn together and filled with down or polyester. In terms of size, though the comforter is the thickest and covers the entire top of bed, it usually just falls midway down the sides. This is similar to the coverlet but is different from the bedspread, which is usually big enough for a pillow tuck and to reach down to the floor. Neither the coverlet nor comforter have the length for a pillow tuck and they are usually folded at the base of the pillows.